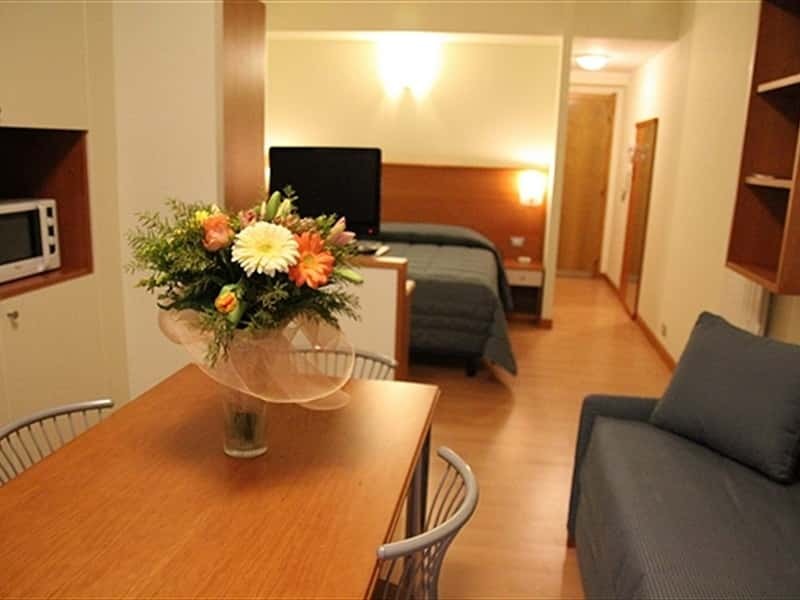 At San Remo, in Liguria , Italian Riviera, Italy, directly over the sea, between the old Tourist Port and new Portosole, is the Residence Due Porti, a perfect accommodation for all . 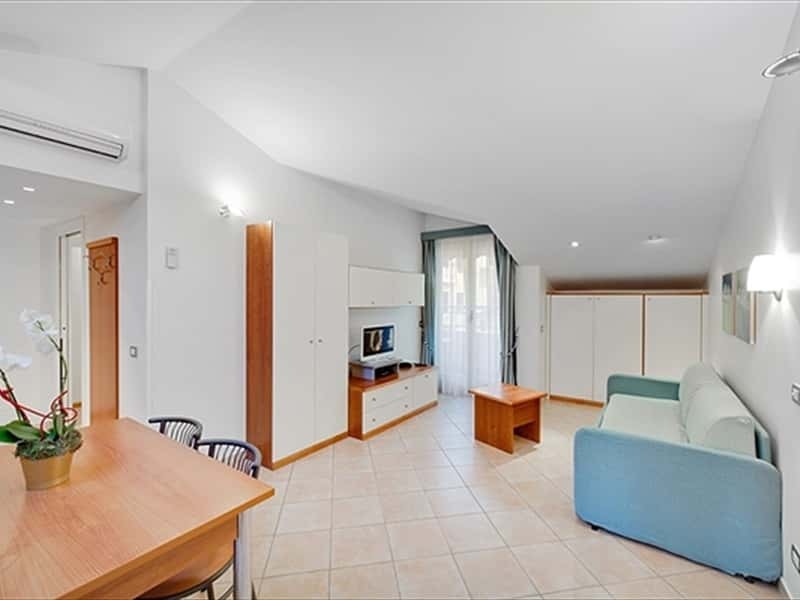 Situated in a very central position, overlooking the sea of the Liguria and the beaches, the Residence disposes of one, two and three-roomed holiday apartments, provided with all conforts. 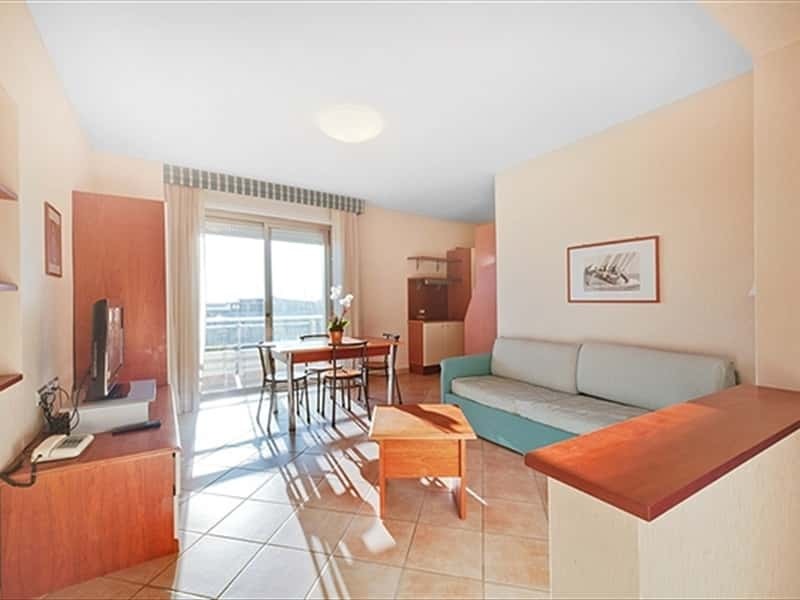 A living room with a sofa-bed - all with a single block kitchenette provided with all the necessary equipment, fridge and electric cooker - direct line telephone - fire detecting system- WIFI and ADSL connections - TV Sat - safe- air conditioning - children's bed and chair - balconies with armchairs. Daily cleaning - bath and kitchen laundry every two days. Bed, bath and kitchen linen are provided. 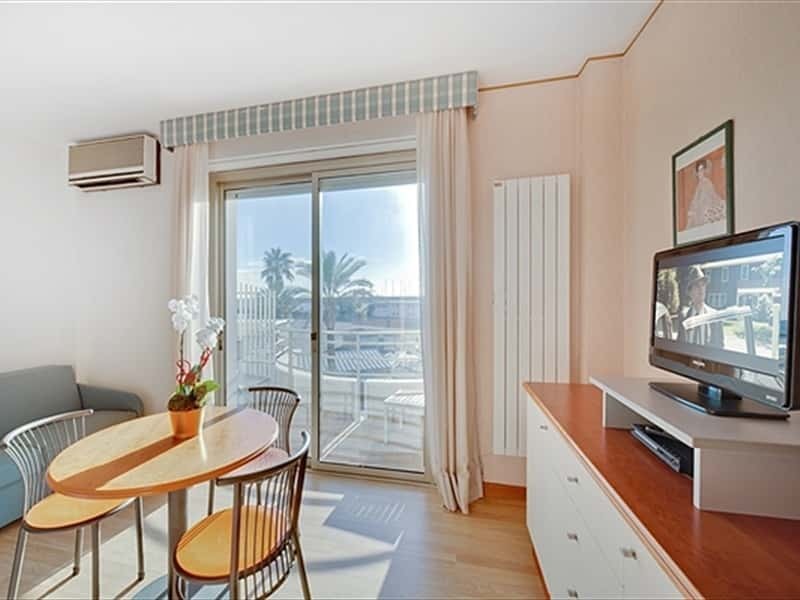 The Residence due Porti offers a hotel-like service of conciergery and daily cleaning, laundry service every two days, a private pay parking service, and is able to satisfy all holiday needs thanks to the rich offer of facilities: a solarium overlooking the gulf of Sanremo provided with sun-beds, armchairs and sun umbrellas; a terrace with a children playing area, a games playing room, satellite TV; an Internet Point with WIFI and ADSL connection; a FAX service; a pay washing machine; bicycles reserved for clients. 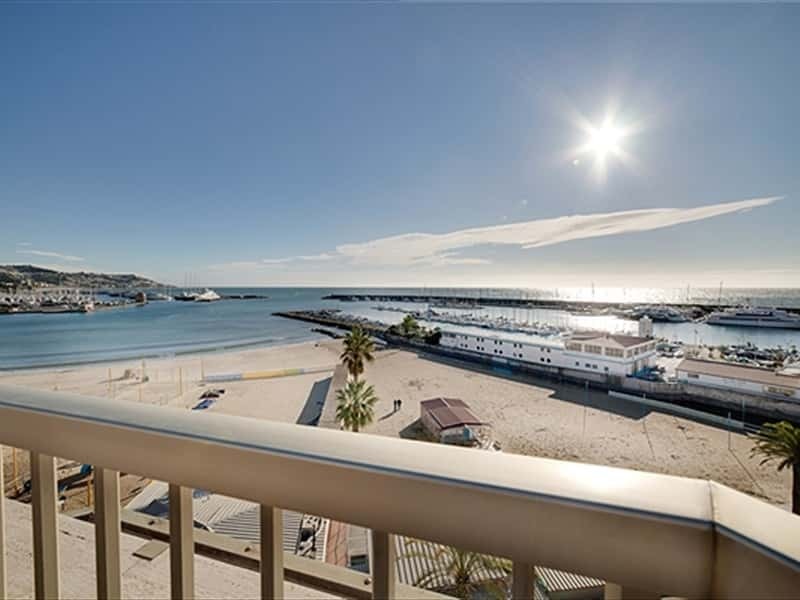 The Due Porti Residence, moreover, has an agreement with the LIDO bathing station opposite the Residence (free entry and cabin). 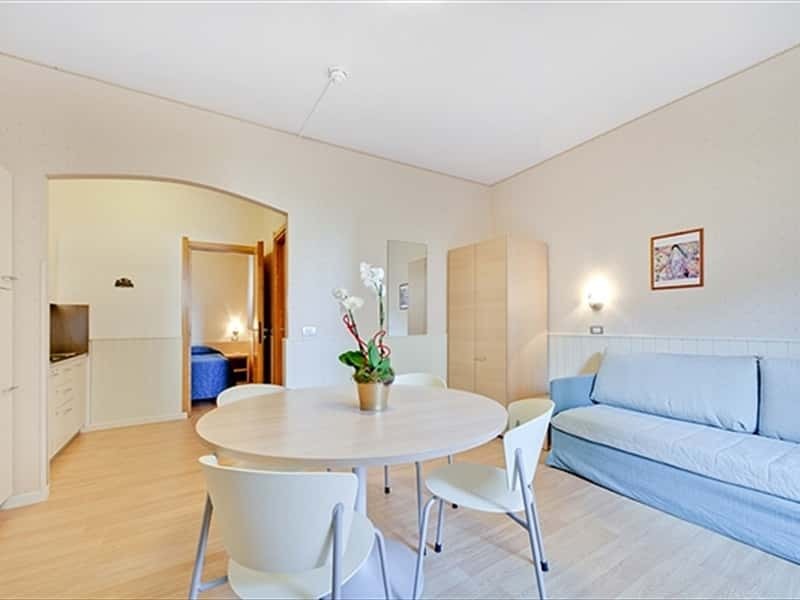 A private pay parking area at a distance of 100 m. A supermarket - newsagent - chemist's shop and restaurants within a distance of 100 m.
Enjoy your holidays in the Residence due porti apartments, the best seaside accommodation in San Remo , in the Italian Riviera, Italy. 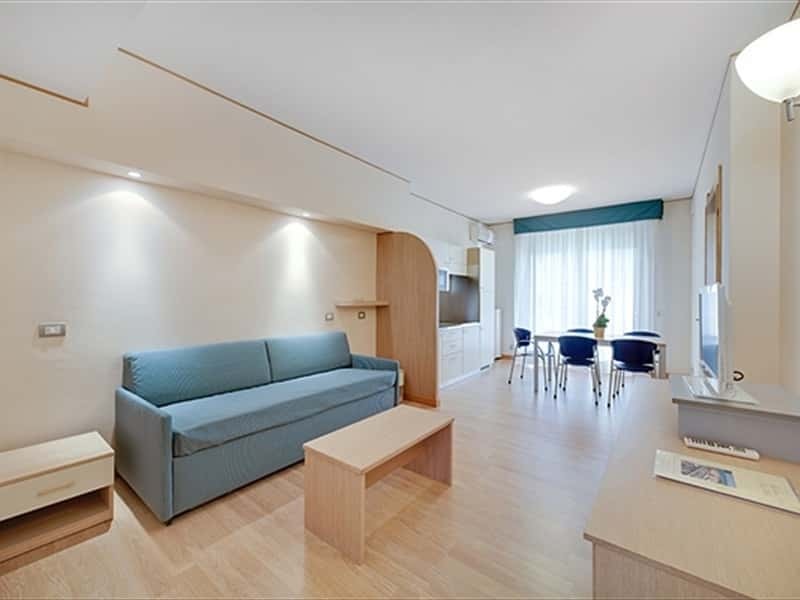 The Wellness Centre Essenza is in Corso Garibaldi at 150 metres from the Residence. Our customers have the possibility of utilising a 15% discount on the hydromassage, sauna, Turkish bath and Kneipp course, and a 10% discount on all treatments. This structure web page has been visited 24,969 times.